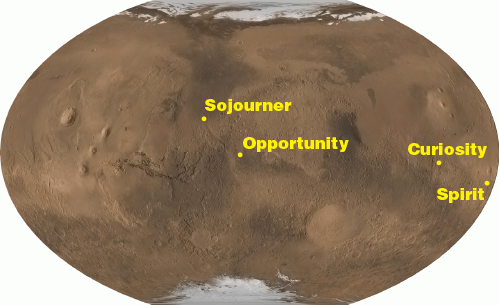 After the success of the Sojourner rover, NASA wanted to send more rovers to learn about Mars. So, in 2003, they sent two rovers to the Red Planet. 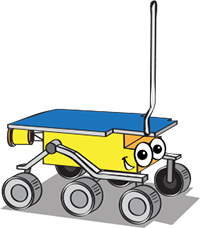 The rovers were named Spirit and Opportunity. Together, they were part of the Mars Exploration Rover mission. Spirit and Opportunity were made as twins. They both carried all of the same scientific instruments. And each was about the size of a golf cart. On Earth, where there is water, there is life. Spirit and Opportunity were sent to Mars to find more clues about the history of water there, and to see if the Red Planet could ever have supported life. To do this, scientists sent the two rovers to two different landing sites. The rovers landed on opposite sides of the planet. Spirit landed in a region called Gusev Crater. Scientists wanted to explore the crater because they thought it could have held water long ago. From pictures taken by satellites, scientists thought it looked like several large rivers flowed into Gusev Crater. Opportunity landed on the other side of Mars in an area called Meridiani Planum. This region was nice because it was a flat, safe spot for the rover to land. Also, studies with a satellite around Mars showed that it might contain a mineral called grey hematite. On Earth, grey hematite is often found in the presence of water. On her journey, Spirit took many photos of Mars with her camera. They were the first color photos taken by a rover on another planet. Spirit also found several signs of past water, and evidence of geothermal, or volcanic activity. She explored sites that may have been hot springs millions of years ago. Not to be outdone by her twin, Opportunity also took many color photos of the Martian landscape. She found evidence of water, too. 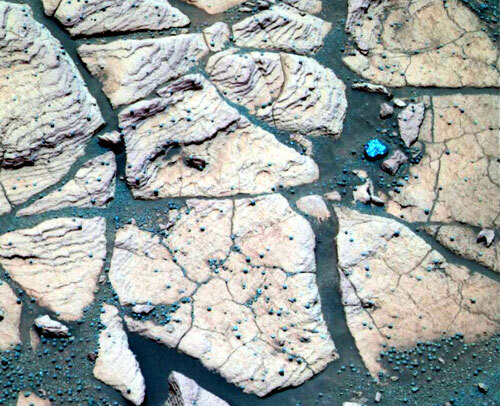 Opportunity studied layers of minerals in the rock near her landing site. The evidence she collected suggested that her landing site was one the shoreline of a salty sea. The rocks that Spirit and Opportunity studied showed scientists that a long time ago, water on Mars may have looked a lot like water on Earth. Mars once had lakes and rivers on the surface. Like Earth, it also had water below the ground, as well as water vapor in the atmosphere.